Military Monday. 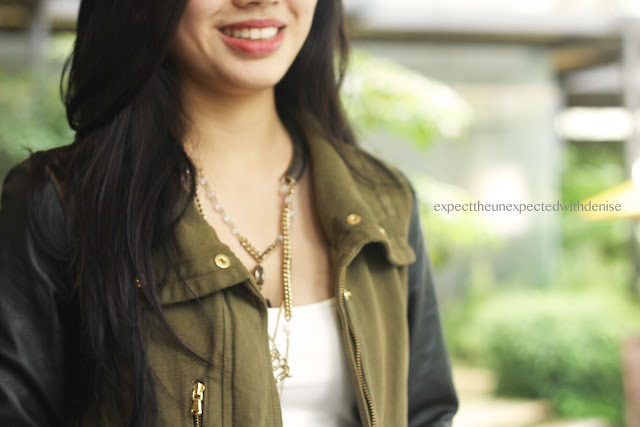 Right now, the weather here in the Philippines is crazy.You really can't go out without a jacket on to protect you from the rain. 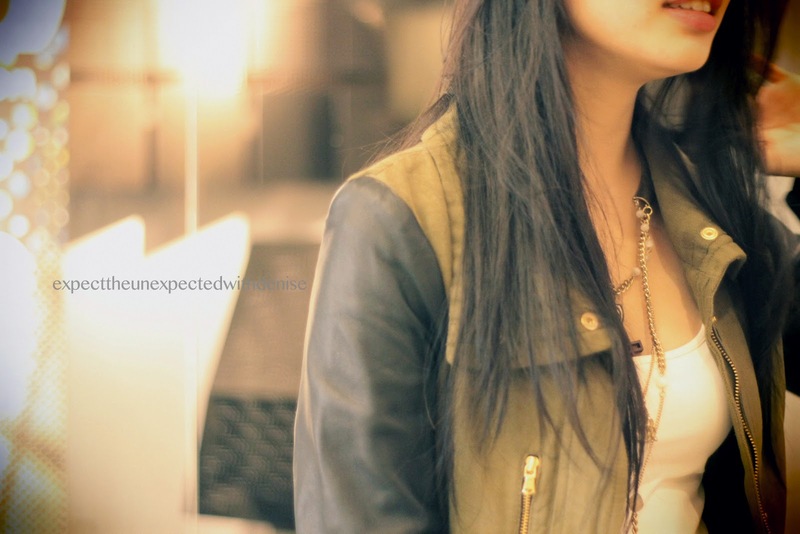 So, since I wanted to go for the tough-chick look, I wore my parka jacket to get that military feel that's in trend for this season! Gold + army green + Leather go well together! 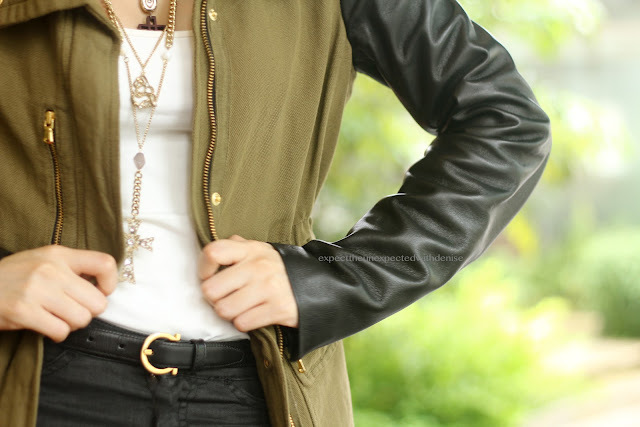 Leather sleeves in this Zara parka jacket gave it this modern military look! 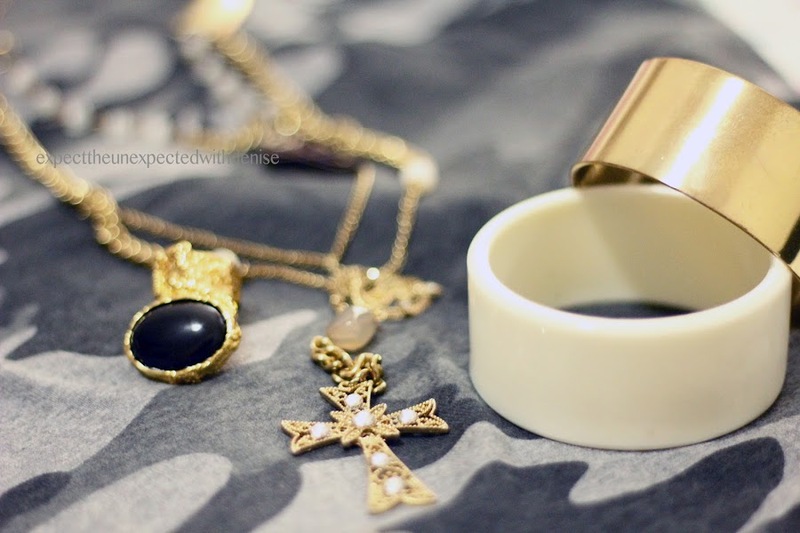 Addicted to gold accessories lately! Remember, don't over do them because they make or break outfits. 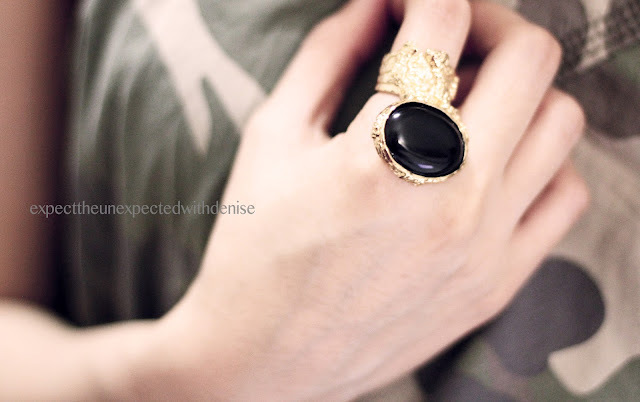 Excellent shot of my current obsession: YSL Gold Arty ring! "Those who stand for nothing, fall for anything"
Let's all help each other to get through this.